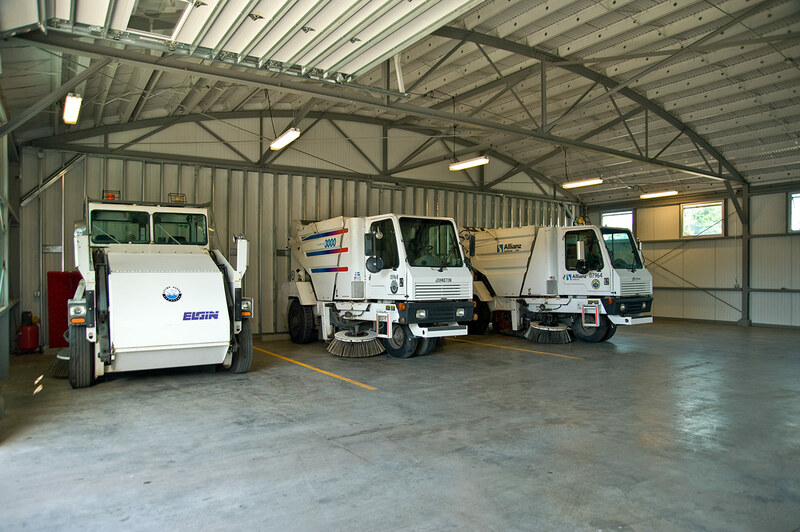 Provide a home for the City's fleet of smaller, 3-wheeled street sweepers in an environmentally- and fiscally-responsible way. 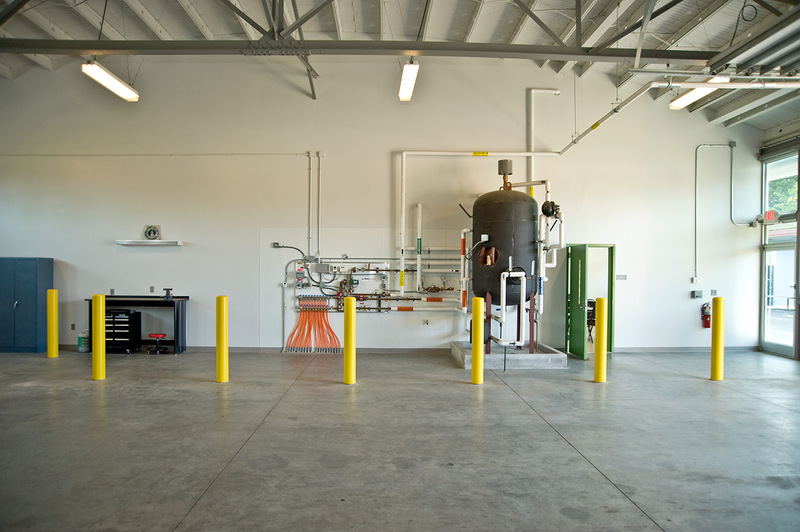 This facility reuses the structure and site of an existing building, saving on demolition and construction costs, and allowing for a large amount of onsite material recycling. 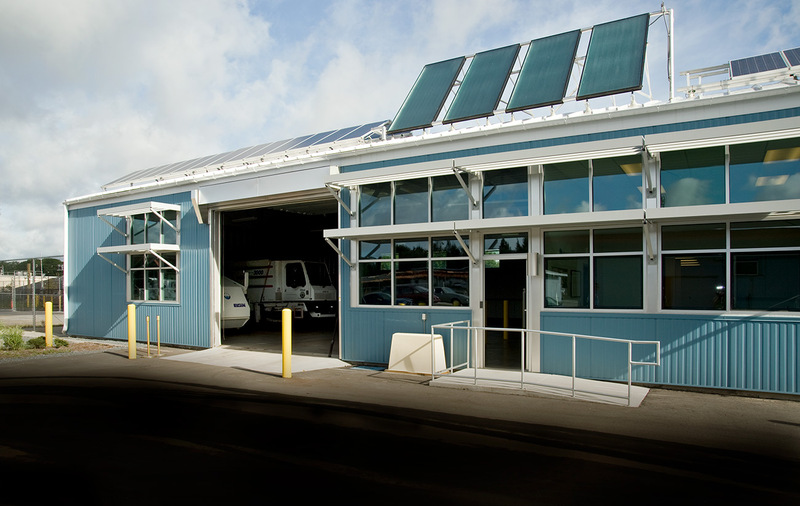 The garage area is cooled by natural ventilation, and is heated by a new solar hot water system installed in the slab. Window openings are sized and oriented to allow natural light into the building, yet minimize solar heat gain, aided in part by sunshades. Runoff from the equipment is treated onsite while stormwater runoff is fed into a bio-retention swale at the rear yard. A large portion of the building’s current energy costs are offset by selling site-generated electricity from the PV panels back to the utility company. 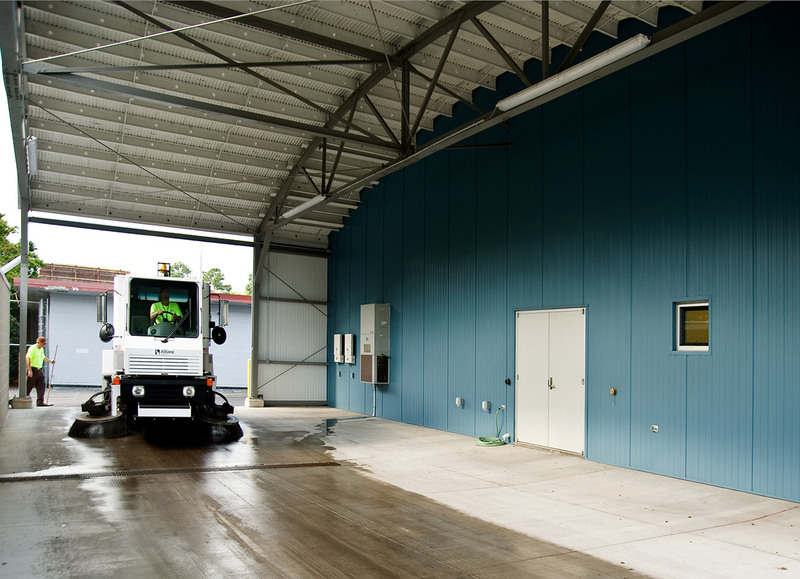 Recognized by City of Wilmington Stormwater Services for Outstanding Services in the Design of Street Sweeper Facility. Lower Cape Fear Stewardship Development Coalition, 2009 Development Awards, Significant Achievement. 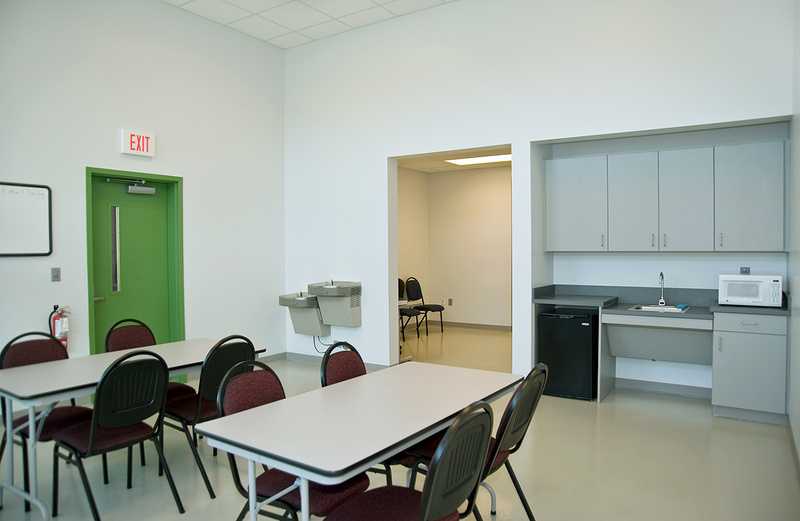 Featured on the 2009 Cape Fear Green Building Alliance Green Building Tour.